However you frame it, buying sunglasses from brick and mortar stores can be pricey. And cheap sunglasses from a kiosk don’t come close to offering you the quality you want. So: What do you do when you don’t want to sacrifice your wallet for style? You get affordable quality sunglasses. Not only do our sunglasses provide your eyes with much needed protection from harmful ultraviolet light, they also carry the power to change your look. That’s why it can be helpful to have several different pairs of affordable quality sunglasses to help keep your style fresh. 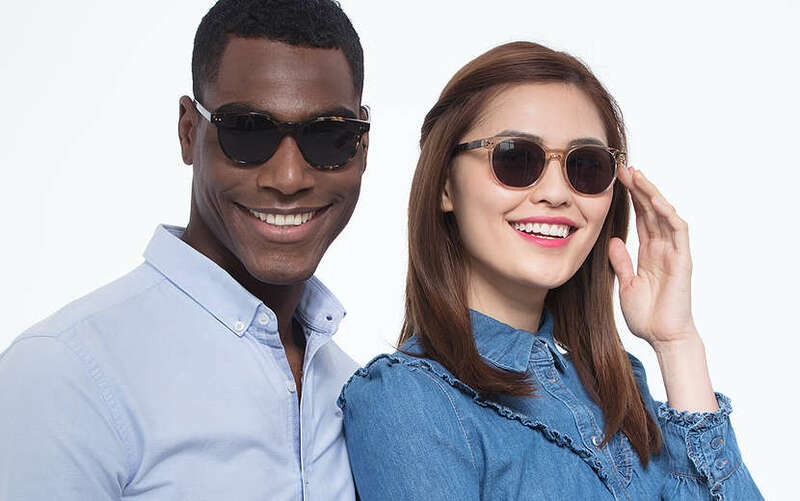 Luckily, affordable quality sunglasses from EyeBuyDirect start at $19 for non-prescription lenses and $39 for prescription tinted lenses, a fraction of what they would cost at the eye doctor’s office. Basic tint options include gray, green, and brown. Premium tint options include mirrored, gradient, and polarized lenses. EyeBuyDirect’s sunglasses frames come in lightweight plastic, acetate, and metal. Plus, all of our lenses include 100% UVA/B protection. 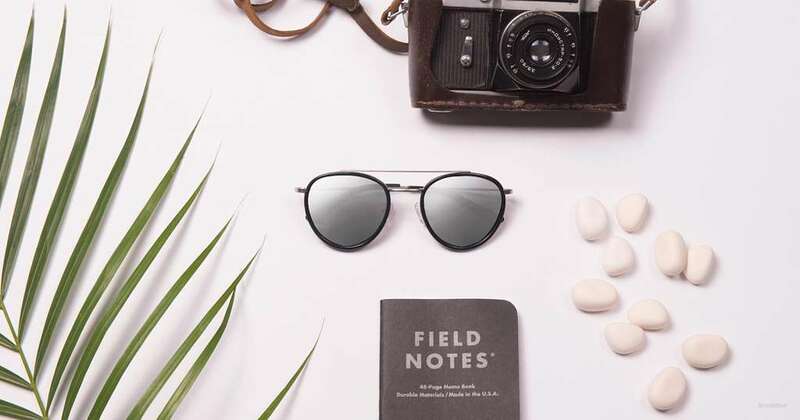 To help get you find your next pair of sunglasses, we’ve compiled a list of some of our favorite frame shapes for men and women! Grabbing a pair of high-quality sunglasses should be a necessity available to everyone. If you’re searching for a wallet-friendly pair of shades that’ll last you the test of time, then we’ve got your back. These affordable quality sunglasses for men are both stylish and top-notch. 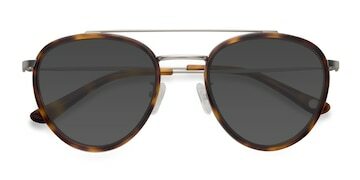 Aviator sunglasses for men are a solid choice if you’re looking for a classic frame with a sleek style. Originally worn by pilots, aviator sunglasses have kept men looking ace for close to century. These shades reign king among affordable metal sunglasses. 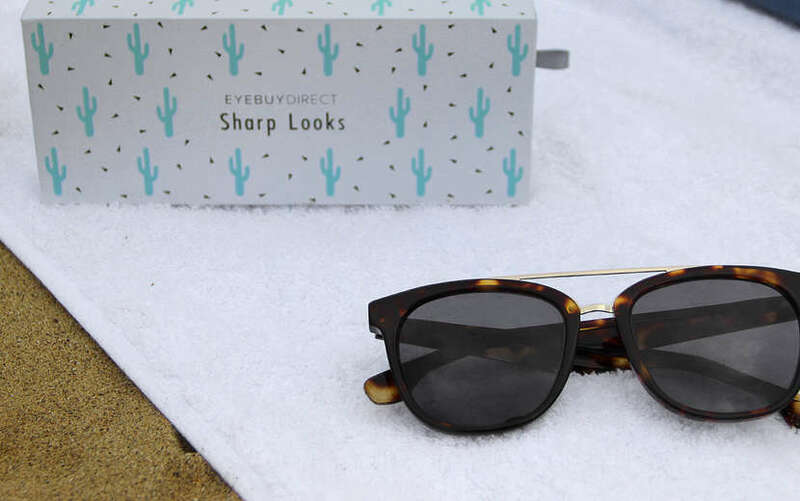 If you’re searching for men’s sunglasses with more of a West Coast vibe, then you definitely need to check out some square sunglasses. While aviators may be king of the sky, square sunglasses are king of the beach. While black square sunglasses are always a classic, a tortoiseshell pattern is a nice way to touch of class to your next pair of affordable quality sunglasses. Traditionally viewed as more retro or hippie look, round sunglasses for men have been adopted streetwear enthusiasts and fashionistas alike. Of you’re into a more retro vibe, consider going with a gradient tint. For a guys who want a look that’s a touch more flashy, try put silver mirrored lenses. No matter which way you look, prices like this can’t be beat. 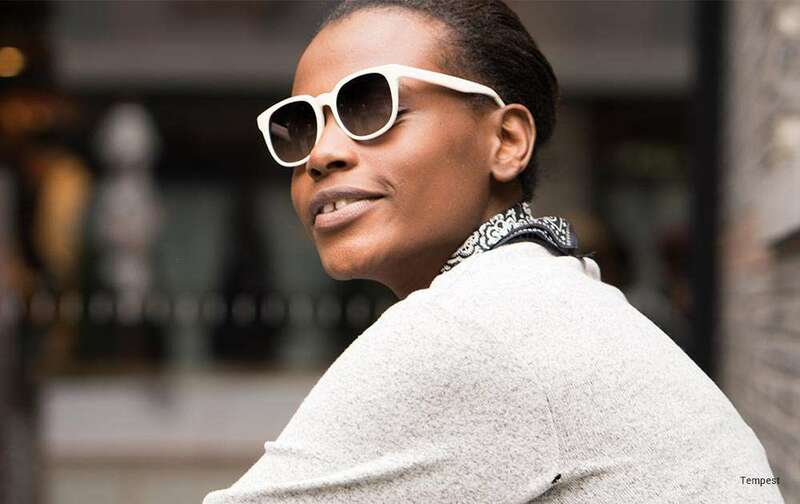 Finding a pair of stylish sunglasses for women shouldn’t break the bank. When you’re trying to stay on top of trends and still keep your apartment lights on, our collection is your best bet. Here’s a couple of our best suggestions for affordable quality sunglasses for women. Cat-eye sunglasses are the female counterpart to aviators in terms of sunglasses iconography. 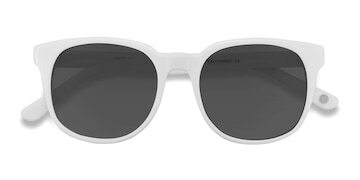 Cat-eye sunnies are a timeless retro style for women. Their playful look and witty nature make them a purrfect pair of sunglasses for having fun in the sun. Another classic style that never seems to age. Browline sunglasses make you dream of summers filled with sun at Martha’s Vineyard or on Block Island. These sunglasses are a beautiful balance of metal and acetate. Frames with curved brows and a soft tortoiseshell pattern help to give browline sunglasses a nice feminine touch. 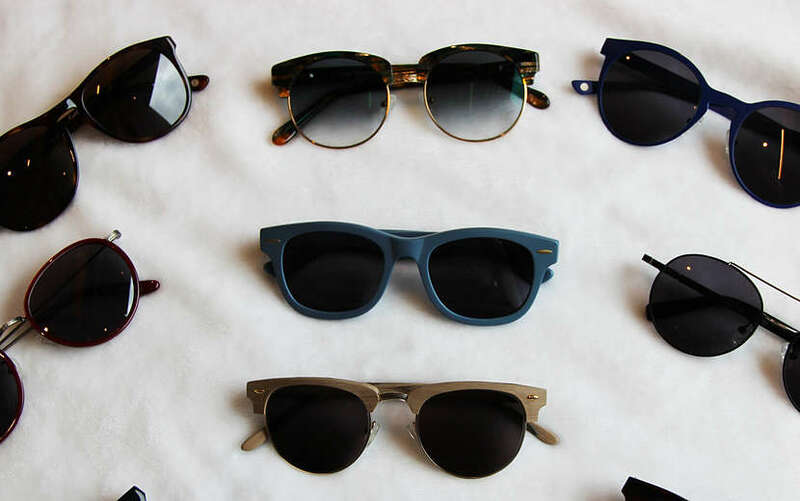 Wayfarer sunglasses are probably one of the the top go-to styles for women. This is probably because it’s one for the easiest styles to dress up or dress down, making wayfarers incredibly diverse. As always, if you want to keep it classy, go with a pair of black wayfarers. For wayfarer sunglasses that are a little more sassy, try a black and white marble pattern. One thing to always keep in mind is that just because a lens is tinted doesn’t mean that it’s protecting your vision. When buying sunglasses is to make sure to check that the lenses offer UVA/B protection. Your vision is important to us and we want to help keep your eyes healthy. That’s why all sunglasses from EyeBuyDirect come with a lens coating to help block out harmful ultraviolet light. With that said, go out and find your next pair of affordable quality sunglasses today!